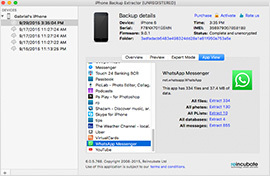 Recover lost iPhone calendar events, contacts, photos, videos, SMS, messages, notes, location data and app data from iTunes and iCloud backup files. Get started with the free edition today to see what we can do. What can the extractor recover? What is the software for? 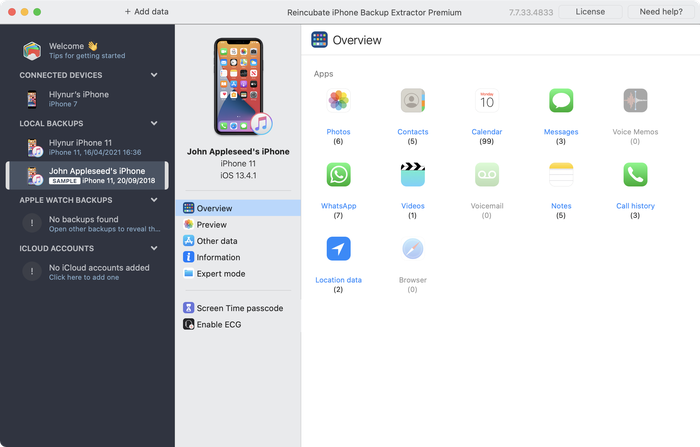 iPhone Backup Extractor can extract files from iTunes or iCloud backups and automatically returns a copy of your recovered iPhone. iPad or iPod Touch data. Main screen: Choose what to extract. App view screen: Recover WhatsApp messages & more. 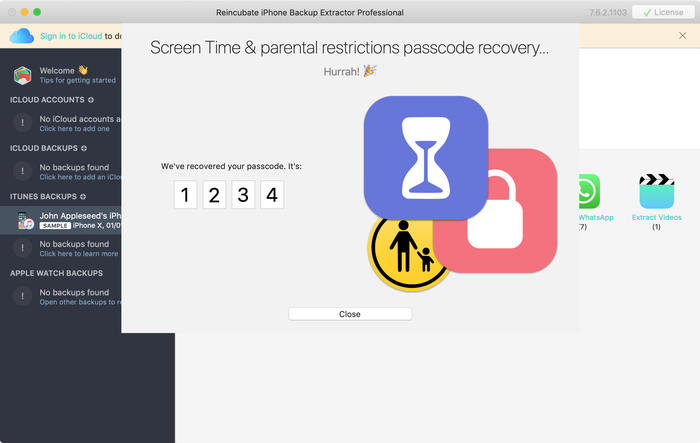 Lost the Screen Time or restrictions passcode? Recover it in just a few clicks. 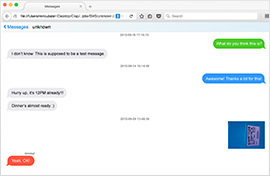 Deleted SMS messages? You can get them back. Visit reincubate.com for more information. See what the extractor can recover for you.